I had some time this weekend and was kicking myself for not realizing I needed to change the pickup ring. And since I was taking it apart (and not overly thrilled with the results) I went ahead and swapped them back to normal. Plugged it in, and was immediately amazed at how different it was. I didn’t notice a difference switching places originally, but putting them back to normal I did. *sigh* I didn’t love it. So I switched them again. lol. This time changing pickup rings. I was concerned and had plenty of profanity in storage, but didn’t get a chance to use it. Here’s what is strange though, I still notice a considerable difference in volume. Where the neck position (which is a NS LB1 Bridge pickup) is still louder. I had to lower it by a lot, which is what I had to do when the neck pickup was in the neck spot. This has left me thoroughly confused. I’m finding myself picking up my strat more and more lately. Which isn’t necessarily a bad thing. But I just can’t seem to get my Guild to sound like what I hear in my head. I am either completely lost in the band mix or have a neck pickup that’s muddy and dark even though it’s a bridge pickup. I just can’t find that sweet spot where both pickups are usable. Bridge has nice bite/cut but isn’t harsh, and neck that is sweet/smooth without lacking definition and clarity. Any advice? I’m thoroughly confused and getting frustrated. In fact, I’m almost ready to dip into that profanity that’s stored up. P.S. each pickup is conveniently labeled as neck and bridge so it’s easy to put back to original. I’m also getting better at soldering, and getting more confident. I’m also learning. So. Huge thanks to you all for that! I don’t think I’d have the confidence to do all this without your help. I'm currently kind of questioning my own sanity because I just got a 2016 Starfire III with the mismatched pickups and they're not driving me crazy. They absolutely did on my T-Bird, so I need to see what's up with that. I'm wondering if there's some sort of dynamic at play on the hollow body that makes this weird combination work in a way that doesn't in other guitars. I haven't tried it at volume yet, though. One of the things that I also learned the hard way when working on a Les Paul was that the pots have a huge impact on the tone of a guitar. This was a high-end Custom Shop model and I could not get the neck pickup to sound right at all. I dropped in two different boutique pickups and it was just completely uninspiring no matter what I put in ther. I was ready to sell it off and decided to replace the pots and the guitar just came alive. 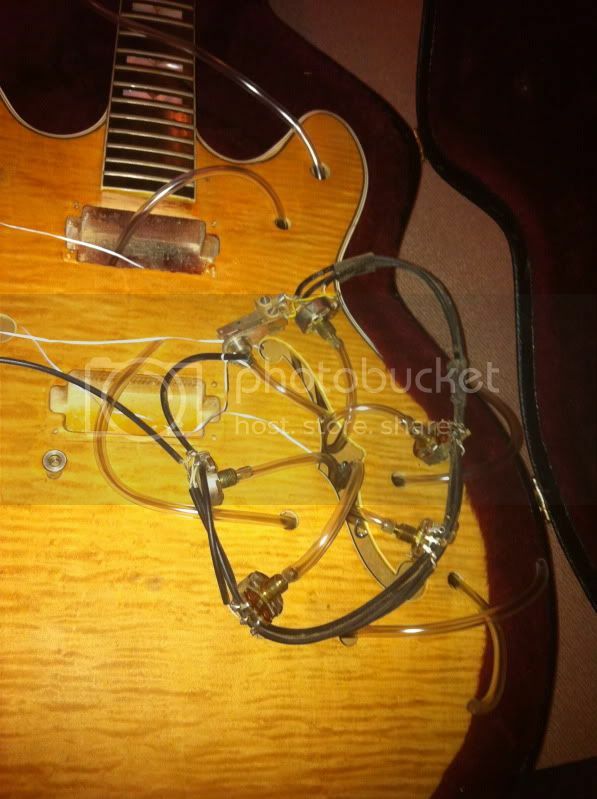 As it turns out, the pots for the neck pickup were only 375k Ohms. I swapped them with 525k Ohm pots and the guitar just exploded with tone. It's now one of my absolute favorites. Pots, like most electronic components, come with a tolerance. What we assume to be a 500k pot likely shipped with +/-20% tolerance and the low end of that tolerance means you could have a 400k pot in there. Unfortunately there is no way to test a pot without pulling it. I also can't say for sure that this is your problem, but if it is, you can swap pickups all day long and you'll never be happy. At least you get some soldering practice in, though. I didn’t measure the height, so I just put it to where it looked right. And looking at it now, it isn’t has much of a difference as I remembered. Originally the heights were substantially different. I needed to do that to get the volume to match. They’re much closer now (with the pickup position switched), which leads me to believe that there is a big difference in the pickups. It came with the neck much lower than the bridge, and I lowered it more. Now that they’re switched they look closer in height. I’m concerned it is a pot problem. The pots weren’t great to begin with. I needed to clean them right out of the box, but they functioned, which was all I knew to check for. Of course, that was also two years ago and I’ve grown as a player. So I’m possibly noticing problems now that I didn’t before but were possibly always present. Someone mentioned earlier to be careful with changing pots as some may not fit quite right because it is a semi hollow? How would I know what size to buy? It's not that it's a semi-hollow - it's that it's an import guitar. Import guitars come with metric sized holes where US guitars have imperial sized holes. I’m also worried all of this means that a guild might not be right for me. But I’m fighting that thought. Surely buying nw gear isn’t the answer...? Is that G.A.S. I hear sneaking up on me? NO!!! Go away GAS! So it’d be as simple as buying metric sized pots? In general yes, but don't underestimate the work involved! Here's a great picture of our member Jahn who changed the electronics. 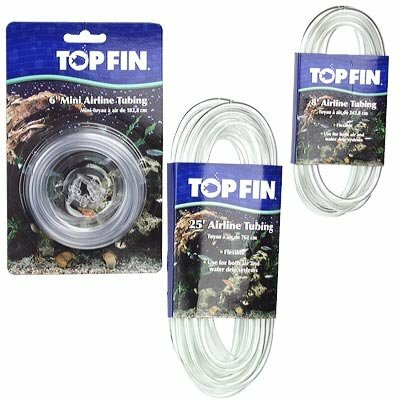 Top Fin Airline Tubing (as used in aquariums) is a good helper as is dental floss. In a hollow body guitar you can go through the pickup cavity, in a semi-hollow body only through one f-hole! Last edited by SFIV1967; 02-11-2019 at 09:59 AM. That is an absolutely gorgeous finish, Ralf. Wow!! Is that a Starfire VI? I've heard of the dental floss trick, airline tubing is new. I've never delved into any of it before. So i'm trying to decide if I want to get my hands dirty, or take it to my local guy. I really trust him, but have been enjoying the work thus far. Decisions decisions. So would it be possible to just take off/out the one pot? Or, because of the limitations of wire length, would I have to take all of them out, change the one pot, put them all back in? And if so, would it be worth it to just change everything out? Would you recommend buying a prewired harness from guild? I believe they sell the entire thing already wired up for $60. Does that seems high? I know quality pots can be like 5-6 bucks. So...5 of those, plus a switch, and labor. Maybe not so bad? Yes, that is a Starfire VI, it is our member Jahn's guitar. Airline tubing works good as it keeps all better in position. I doubt you would be able to just change 1 pot. It depends which one it is and how the harness is currently soldered. Usually there is not a lot of wire inside so I would guess all 4 need to come out (at least from the mounting holes) until you have the pot which you want to change out the F-hole. You probably don't need to take all 4 out the F-hole. I don't think it makes sense to buy a complete harness from Guild as the pots would be the same (lower quality) as you have now. And it is not even 100% clear the pot is the culprit. Okay. That makes sense. So I'd probably need to release or at least loosen all of the pots, but would only need to pull the one that (potentially) needs replacing through the f-hole. Work on that, and then put it all back. I guess if it makes a world of difference I can go back and change out the other pots later. Where is a good place to get pots? Just Stew-Mac and CTS pots?